As a former student-athlete, Tarek Merchant knows what it takes to excel in a sport, succeed in the classroom, and find college scholarship opportunities to make it all happen. 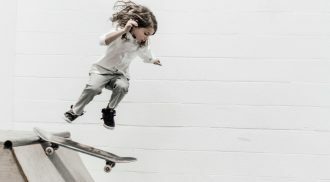 Merchant, the founder and CEO of Miami-based recruiting network IMRecruitable, played a number of sports while growing up in Canada, including ice hockey, soccer, tennis, and baseball. After opting for a career in tennis, he earned scholarships to play the sport at Western New Mexico University and Jacksonville University. The entrepreneur is now paying it forward by hosting camps for student-athletes and events that not only showcase their talents but put them in front of college recruiters. IMRecruitable initially started as a part-time endeavor to “help other athletes around the world get a scholarship in the U.S.,” Merchant said in a JotForm interview. But those efforts grew to be a full-time commitment about eight years ago, with a primary focus on connecting college-bound athletes with scholarships for golf, tennis, and a few other sports. For the past four years, Merchant has trusted JotForm to create a diverse range of forms — from event registration and liability waivers to travel and housing details — and organize all of the information athletes provide. JotForm also allows users to include conditions when they create a form — this saves time by allowing campers to answer only questions that are relevant to them. 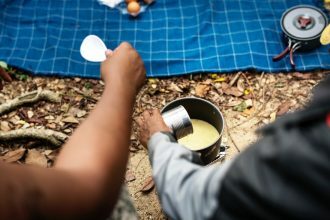 For instance, campers who fill out an online medical form and say they have an allergy may be asked to outline their specific allergies; the latter question, however, would not appear to campers who say they do not have an allergy. JotForm users can even incorporate restrictions into their camp forms. Restrictions, for example, can prevent campers from accidentally filling out and submitting a medical form more than once. JotForm’s form builder also has an auto-response feature that can send campers an email after they submit their form. This email can let campers know that their forms have been received and provide them with any information needed for the next steps. “The No. 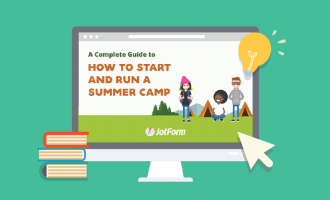 1 reason I like JotForm is because I have the flexibility to do way more than other software programs for camps,” Merchant said. Another key benefit is JotForm’s integrations with a number of payment processors, including Square, PayPal, Stripe, and Authorize.net, Merchant said. This means users can make payments through the form without being redirected to another website to complete the process. Data from submitted forms can even be exported to other software programs, such as Microsoft Excel and Google Docs, so you can archive it or create spreadsheet reports. This is important for some camps that may need to share specific data with key business partners or vendors. After creating a form, sending it to people to fill out, and collecting the information you need, JotForm PDF Editor allows you to create customized PDF documents with the data you’ve gathered. JotForm PDF Editor’s drag-and-drop functionality makes it easy for you to place completed form data in your PDF and include various elements, such as signatures and images. You can even customize the document by adding a business logo, changing the background colors, adjusting the page margins, and more. The best part is that you can create a PDF without altering the original form. According to Merchant, JotForm PDF Editor comes in handy for on-site camp employees, who may need a hard copy of a form on hand for emergencies, and his annual showcase events, where coaches are provided with select information about athletes. JotForm can streamline your workflow, remove the hassle from creating forms, automate your data-collection process, and get you back to being a mentor.